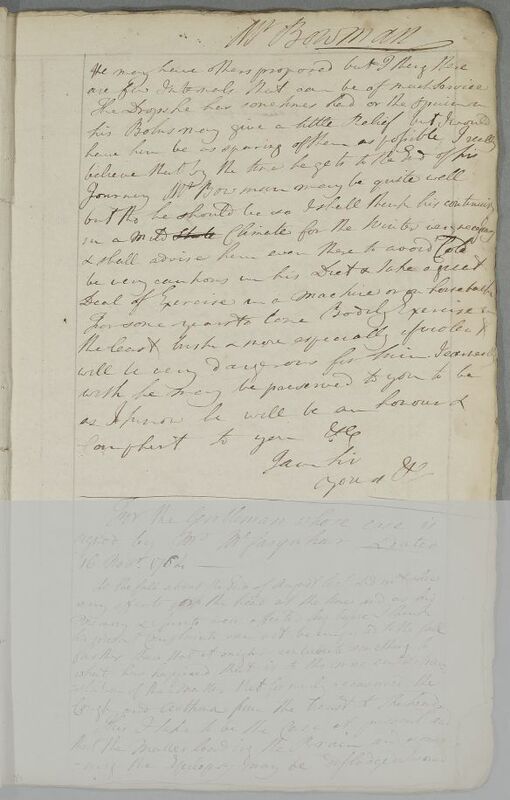 Reply, 'Mr Bowman', concerning the case of his son. 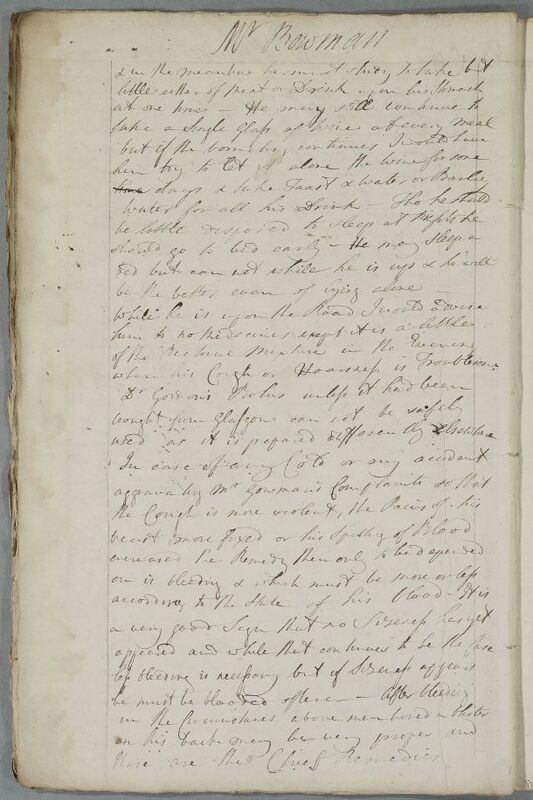 Summary Reply, 'Mr Bowman', concerning the case of his son. Case of Mr Bowman's son who has had a cold and chest problems. 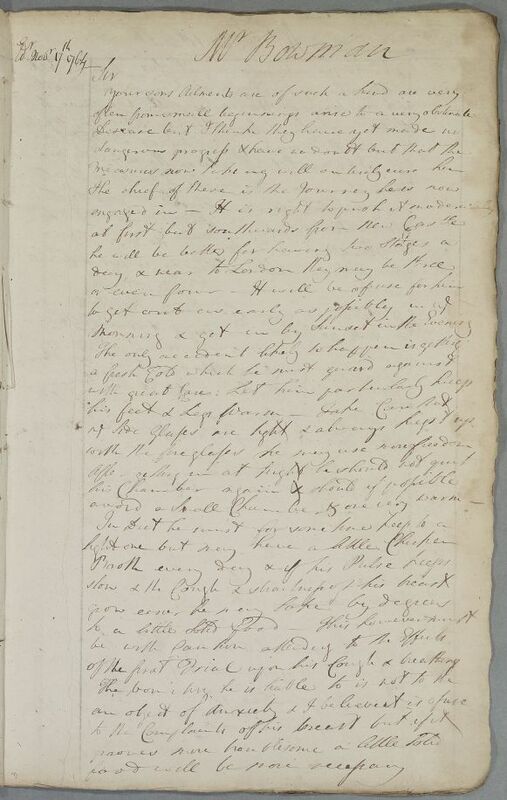 He is given a regimen and advice on travelling for his health (may be same patient as Case 912). measures now takeing will entirely cure him. morning & get in by Sunset in the Evening. with the fine glasses he may use more freedom. of the first Trial upon his cough & breathing. when his Cough or Hoarsness is Troublesome. these are the chief remedies. are few Internals that can be of much service. deal of exercise in a machine or on horseback.